Sint Jansvliet 10-12, 2000 Antwerp, Belgium. The Hotel Scheldezicht in Antwerp is a special place for special guests. The ones who prefer budget prices and comfortable hotelrooms, right in the liveliest part of the old city center of Antwerp, are our most regular guests. 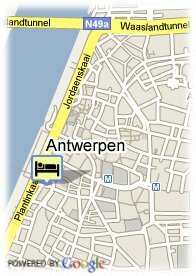 The hotel is situated in the active area nearby the town-hall and the Cathedral of Antwerp. All major tourist attractions are in the neighborhood. You will love a stay in our romantic, quiet, reasonable priced city-center Hotel. Free parkingfacilities, Parking fee required. Near exhibion centre, Near trainstation, Near to the university, Centre, Harbour, Museum Area, Near highway, Near the historic centre, River, Near airport, Near subway / tramstation, Panoramic view, Near shopping centre. More than 3 days before arrival : no cancellation costs. Less than 3 days and more than 2 day(s) before arrival: 1 night will be charged. Less than 2 days and more than 1 day(s) before arrival: 2 nights will be charged. Less than 1 day(s) before arrival : Entire reservation will be charged. Children less than 3 year(s) old: free of charge. Children less than 7 years and more than 3 year(s) old: 15.00 € for each additional bed. Attention: on Christmas Day and New Year's Day no breakfast will be served. 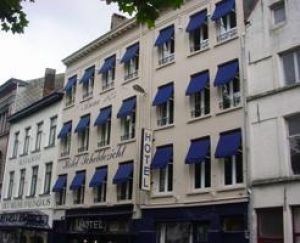 The Hotel Scheldezicht is situated in the historical center of Antwerpen, with a famous street around the corner and close to the Schelde, The Cathedral and the Big Market of Antwerp with all the cozy restaurants and pubs.